This full latex costume has sculpted muscle pieces for the perfect look. Costume includes: cape, chest piece, upper arm pieces, gloves with gauntlets, boot covers, upper leg pieces, belt, and cowl. 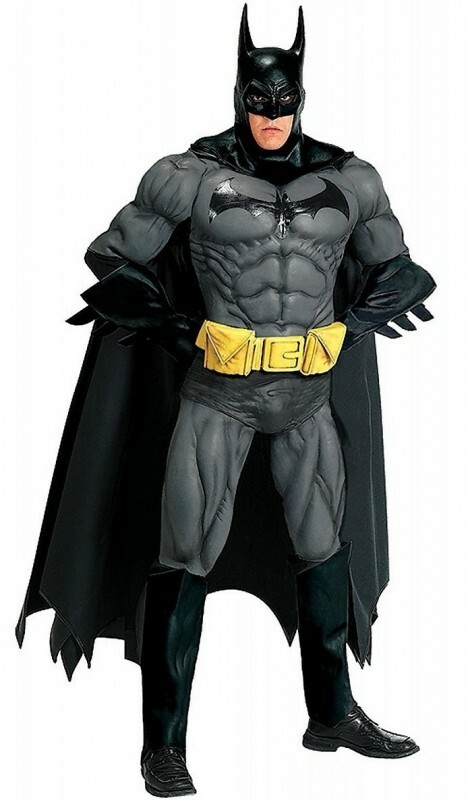 This is an officially licensed BatmanÃ¢”Â¢ costume.